Launched by the New York City Department of Education, WeTeachNYC is on online professional learning space for teachers and school leaders. The Django-powered site makes thousands of high-quality educational resources available to NYC educators and includes blended and online communities for peer-to-peer interaction, all designed to support educators needs within their individual professional learning trajectory. 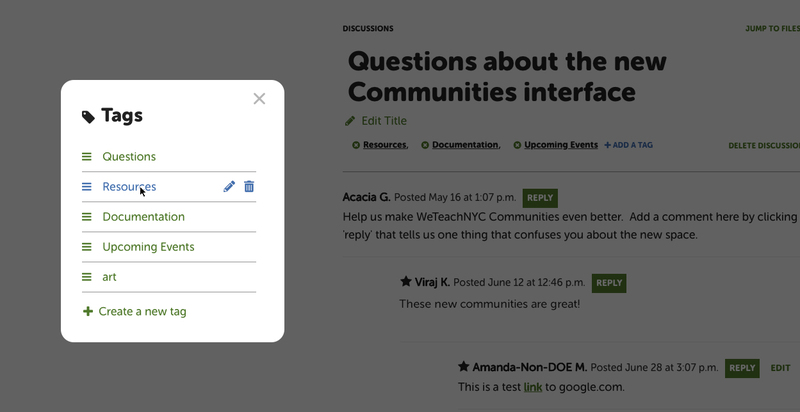 The Django-powered site makes thousands of high-quality educational resources available to NYC educators and includes blended and online communities for peer-to-peer interaction, all designed to support eduactors needs within their individual professional learning trajectory. The NYC DOE sought to facilitate the process of improving teachers' efficacy in the classroom, both via better networks among the city's 80,000+ educators as well as access to quality curriculum resources. Funded by a grant from the Bill and Melinda Gates Foundation, the goal was to craft a solution that would transform the site from a pilot project to a long-term professional development platform. 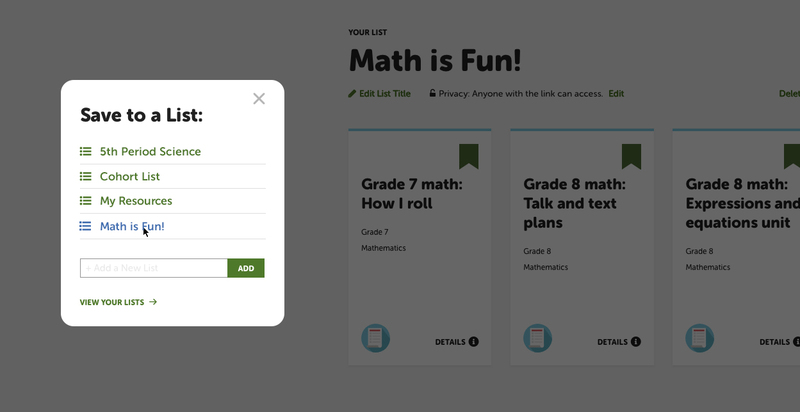 Over the course of 3 years, we custom-built a solution where resources are easily discoverable, personalized according to teachers' preferences. We've also replaced an enterprise SaaS community with one that's built specifically to foster cohorts of teachers to develop skills introduced during in-person sessions. We began with an intensive discovery to understand the landscape of the NYC DOE's existing professional development offerings and pilot programs, and audited the various Learning Management Systems to determine the extent to which existing systems could support the NYC DOE's needs. Part of our engagement also included a branding exercise to refresh and extend WeTeachNYC's existing identity. A full brand guidebook and assets were developed in tandem, so the organization's offline marketing and funding efforts could be consistent with the ongoing digital designs. In Spring 2018, the site design was refreshed and updated to bring full compliance with WCAG AA++ standards. 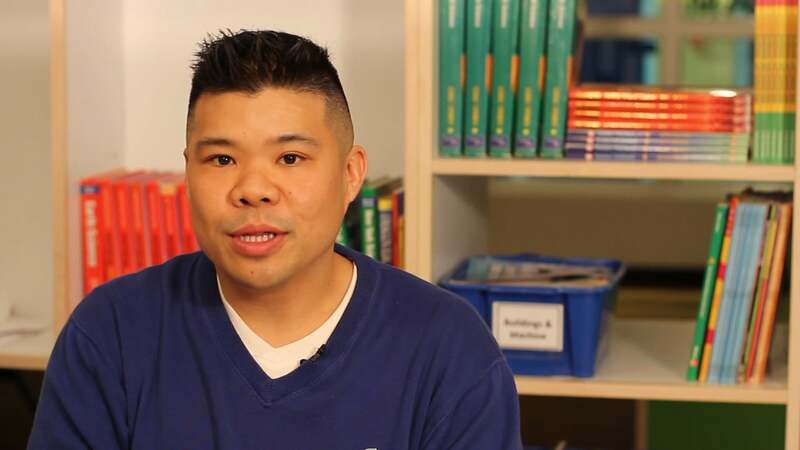 At the heart of WeTeachNYC is a central repository of Learning Objects, which is also open and available to the public, so even educators outside of New York City can benefit from the NYC DOE's high-quality and curated teaching resources. Educators can easily search and find resources by entering keywords into the search bar or by using an extensive array of filters, customized to reflect the way that educators think about their work. A clean, organized design with comfortable hit areas help to make this complex faceted search, and the highly detailed metadata fields associated with results, easily parseable and user-friendly. At the heart of WeTeachNYC is a central repository of Learning Objects, which also open and available to the public, so even educators outside of New York City can benefit from the NYC DOE's high-quality and curated teaching resources. Educators can easily search and find resources by entering keywords into the search bar or by using an extensive array of filters, customized to reflect the way that educators think about their work. A clean, organized design with comfortable hit areas help to make this complex faceted search, and the highly detailed metadata fields associated with results, easily parseable and user-friendly. WeTeachNYC was built in an agile process beginning with the Learning Object repository and faceted search in year one and extending to complex interactive communities in year three, with numerous releases in between to add functionality for creating individual teacher profiles, saving and organizing resources, creating shareable playlists, receiving personalized recommended resources, and more. Throughout the process we maintained wireframe libraries, style guides, and technical documentation. This was important to both streamline our processes and ensure that we were creating a holistic experience, while still allowing the system as a whole to remain flexible and appropriately serve the platform's many different types of content in their various forms. WeTeachNYC was built in an agile process beginning with the Learning Object repository and faceted search in year one and extending to complex interactive communities in year three, with numerous releases in between to add functionality for creating individual teacher profiles, saving and organizing resources, creating sharable playlists, receiving personalized recommended resources, and more. Throughout the process we maintained wireframe libraries, styleguides, and technical documentation. This was important to both streamline our processes and ensure that we were creating a holistic experience, while still allowing the system as a whole to remain flexible and appropriately serve the platform's many different types of content in their various forms. It was key to support single sign-on access for our audience of educators. By integrating with the DOE's Department of Instructional Information Technology, we were able to support not just single sign-on, but also role-based services to ensure educators could participate in online learning communities, post new resources, and manage teams. As an open-source technology we were able to leverage Django's flexibility to also build on complex and granular permissioning tools for the many content administrators in the DOE to quickly and easily edit the core experience from the front-end. Removing so many technical barriers helped to optimize user engagement and allowed us to focus on getting the right people to the right content. As an open-source technology we were able to leverage Django's flexiblity to also build on complex and granular permissioning tools for the many content administrators in the DOE to quickly and easily edit the core experience from the front-end. Removing so many technical barriers helped to optimize user engagment and allowed us to focus on getting the right people to the right content. WeTeachNYC has helped the largest school district in the country to make monumental strides in Personalizing Learning for Every Teacher. The site's custom-built tools, targeted to the needs of educators, provide an innovative form of professional learning support and the thousands of educational resources the site makes available to the public has elevated the standard of education across all NYC schools. Today, the NYCDOE and Blenderbox continue as partners to enact our long product roadmap, rolling out monthly updates resulting in further buildouts and refinements to the website.